We start with a conflict. The PSVC entry for 2012 says LVO 530 was new to Lees, Worksop, while Jenkinson’s book of 1978 say it was new to Symes, Devonshire Hill. 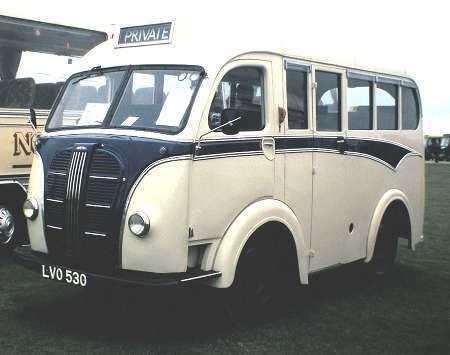 While the sources agree that t is an Austin K8 with Kenex body, PSVC says it is of the C12F layout, but Jenkinson says it is of C14F layout. 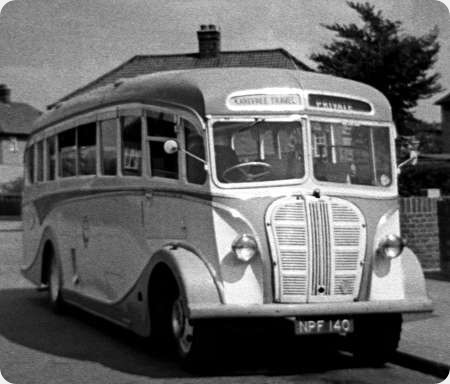 Jenkinson says it was new in 1950, while PSVC says it was new in May 1951. Regardless, we see her at Duxford on 24 September 1995. It was new to Lees, Worksop. 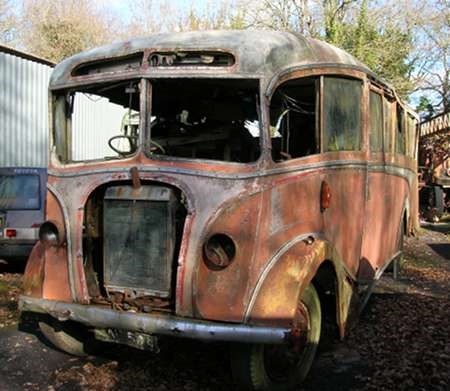 The entry for Symes in Jenkinson Preserved Buses 1978 is the last known owner at time of publication. The notes on page 6 of the book state the column 7 listing as the ‘Original or Last Known owner’. As for seating it would have been a C12F originally but was presumably up seated at later date, certainly by the time it reached Kenzie. Symes, Devonshire Hill, London N17 ?/?? 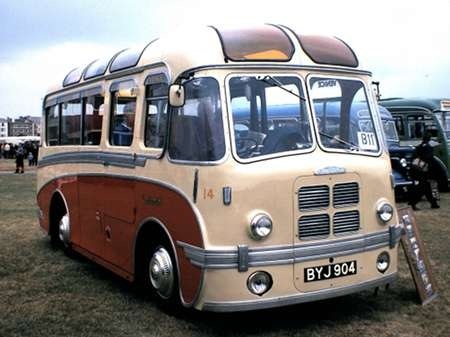 I have often heard and read people describing minibuses as ‘breadvans’ and thought that they were referring to the Ford Transit generation, but this old-timer reminds me of the breadvans of my youth. According to the Nov 1995 issue of "Buses" (on p27, in a report on Showbus), this coach "began its career with Skills of Nottingham"! I suppose their reporter must have picked up the wrong end of the stick on the day? The ‘breadvans’ of my childhood were all horsedrawn, as were the milk ones, save the Co-op which had pre-war electric floats! 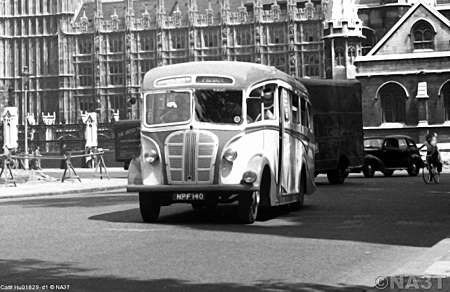 When I first saw the K8’s, I thought they were so sleek and streamlined, unlike any other van on the streets at that time and have never really shaken that view off. As passenger vehicles, I would think that were a bit ‘bouncy’ with such a short length and the front axle laid back, too. Given the comments sections on almost any article you choose on the online newspaper websites, most reporters a) cannot spell, b) are unaware of grammar, c) should still be in kindergarten and d) get the wrong end of the stick. Graham, yes, that report would seem to be erroneous, I have a Skills fleet history which I’ve perused thoroughly and there’s no mention of this vehicle. Skills only ever bought three Austins and this wasn’t one of them.